We’ve all experienced the pains of purchasing an important network device, installing it and discovering afterwards that it’s in fact a dud. Simply put, all network equipment—regardless of who makes it—is subject to critical failure. For this reason, Network Craze offers the most comprehensive lifetime warranty program in the industry. Which Network Craze products are protected by lifetime warranty? Most new and refurbished products are protected by a lifetime warranty. Make sure to look at each individual product to find out, or consult with a sales professional prior to purchasing an item to find out the specific details for your product. How long does Network Craze’s lifetime warranty last? Network Craze offers a lifetime warranty that extends for five years after the manufacturer discontinues the product or 5 years (whatever is longer). Network Craze also offers expedited advanced replacement service which extends throughout the entire length of the warranty. How does Network Craze’s replacement process work? Easy! All network devices are equipped with special stickers that have a Network Craze phone number making service quick and easy. Once a call is made and a replacement request is submitted, Network Craze will send a replacement part prior to receiving the defective product—thus reducing overall downtime. Customers also receive boxes to ship defective products back in, as well as pre-paid shipping labels. As you can see, Network Craze offers customer care that extends far beyond the initial sale. The entire process is designed to make things as easy and painless for the customer as possible. 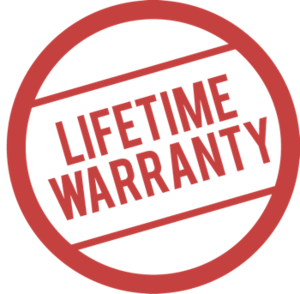 Want to learn more about how the lifetime warranty process works? Click here to contact a representative.